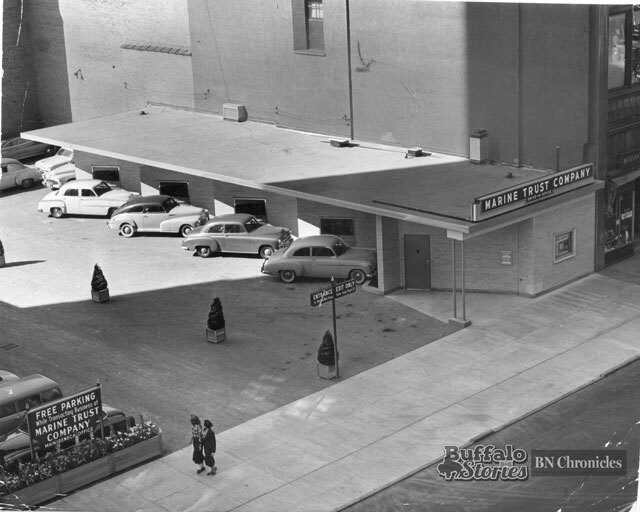 It’s been almost 50 years since the last movie played at the Shea’s Seneca Theatre at Seneca and Cazenovia streets in the heart of South Buffalo. 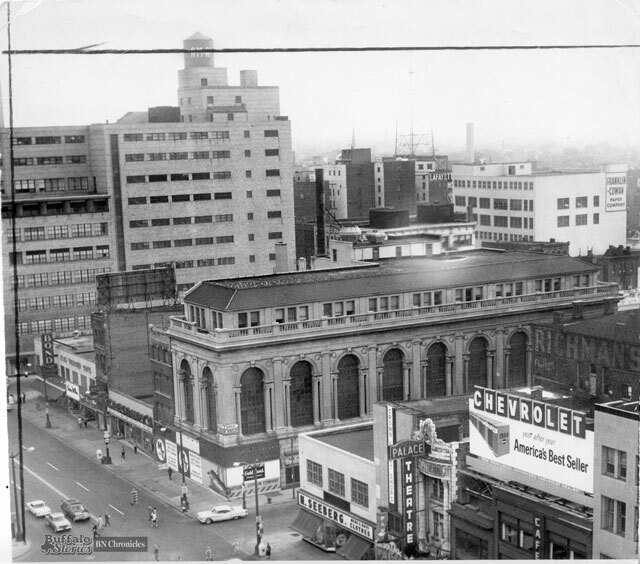 The theater was torn down in 1969. 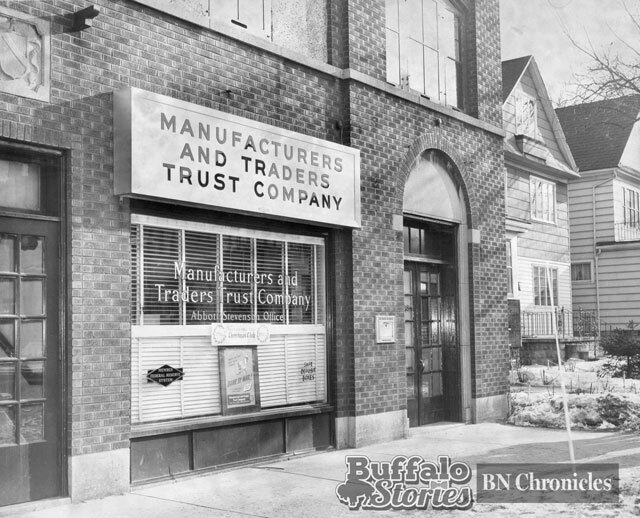 But it was the dream of showman Michael Shea to put not just a movie house– but a movie palace– in each of Buffalo’s distinct residential communities and neighborhoods. 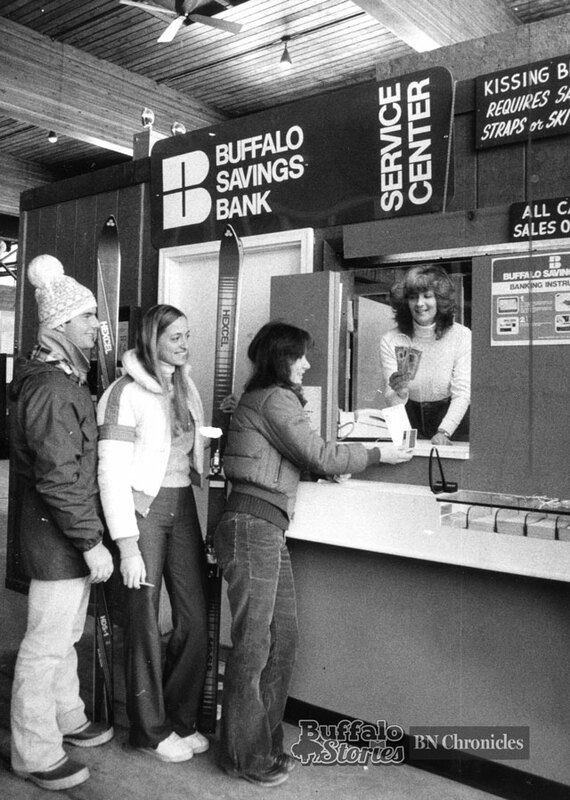 For many in South Buffalo, the building of the beautifully designed and constructed theater was the final piece in making South Buffalo a community on par with any other in the city. 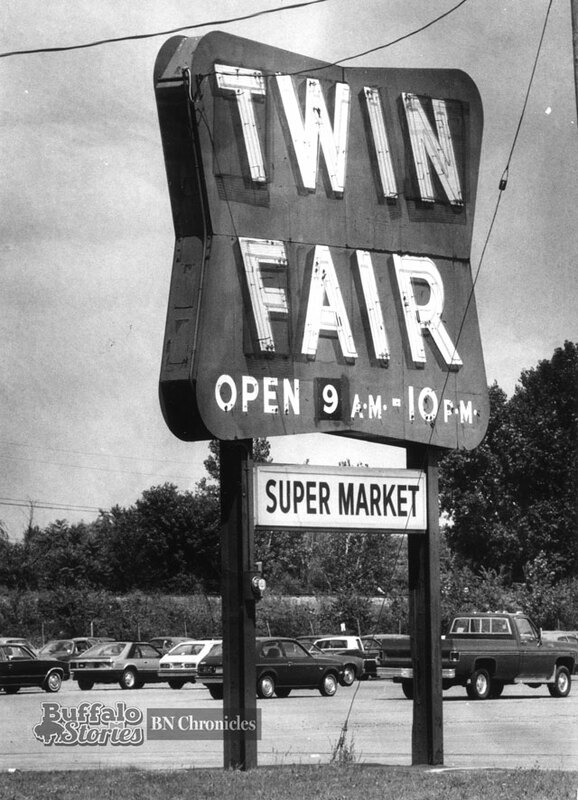 The perception that many elsewhere in the city clung to was that between the Hydraulics (the neighborhood now usually known as “Larkinville”) and East Aurora, Seneca Street was little more than a ride in the country, with sheep grazing in open meadows, roads made mostly of mud and a lot of flooding. 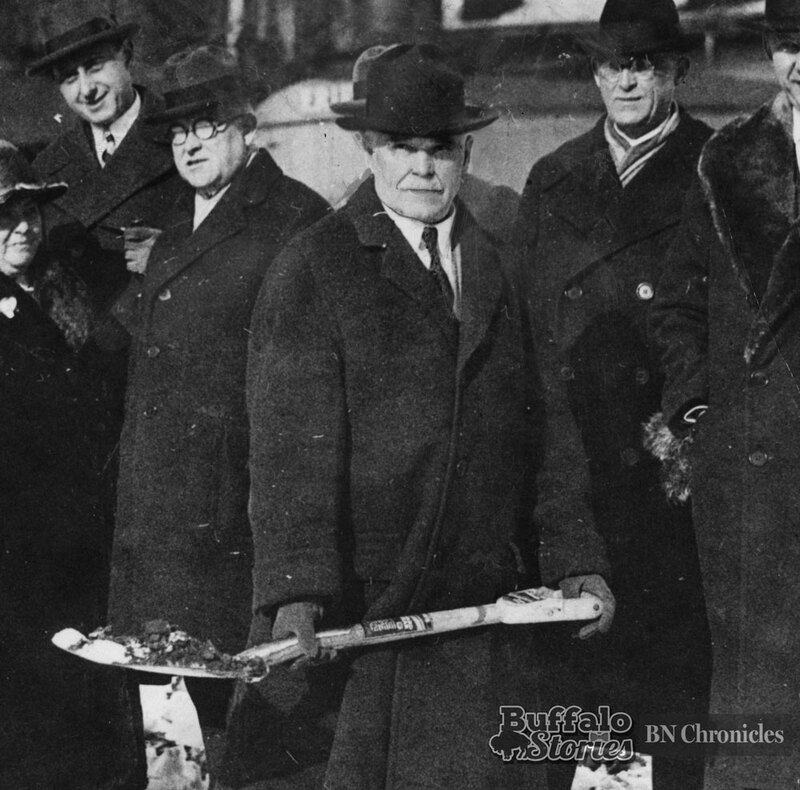 The Shea’s Seneca was a catalyst in permanently changing that notion. 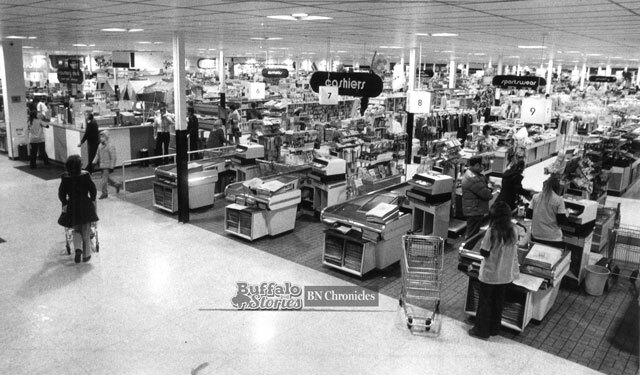 Once Buffalo’s most opulent, well-appointed and largest community movie house, for the last half century, it’s been better known as the home of the Skyroom and Gintzy’s Warehouse. 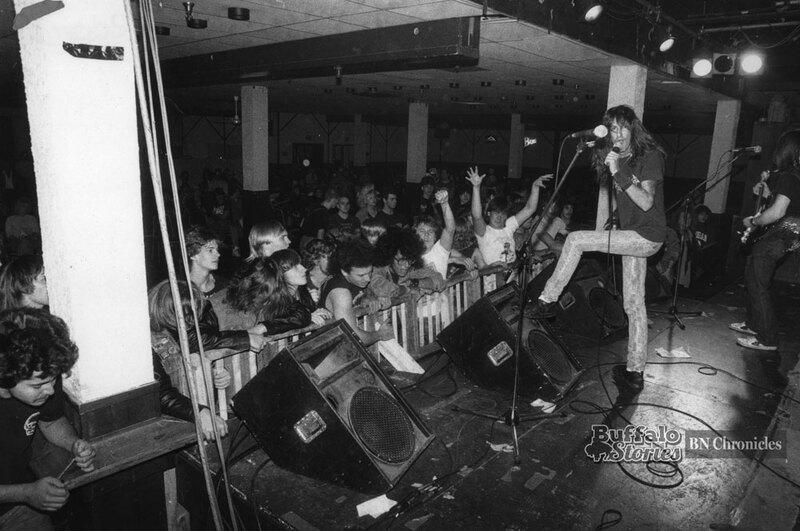 Baphomet plays the Skyroom in 1989. 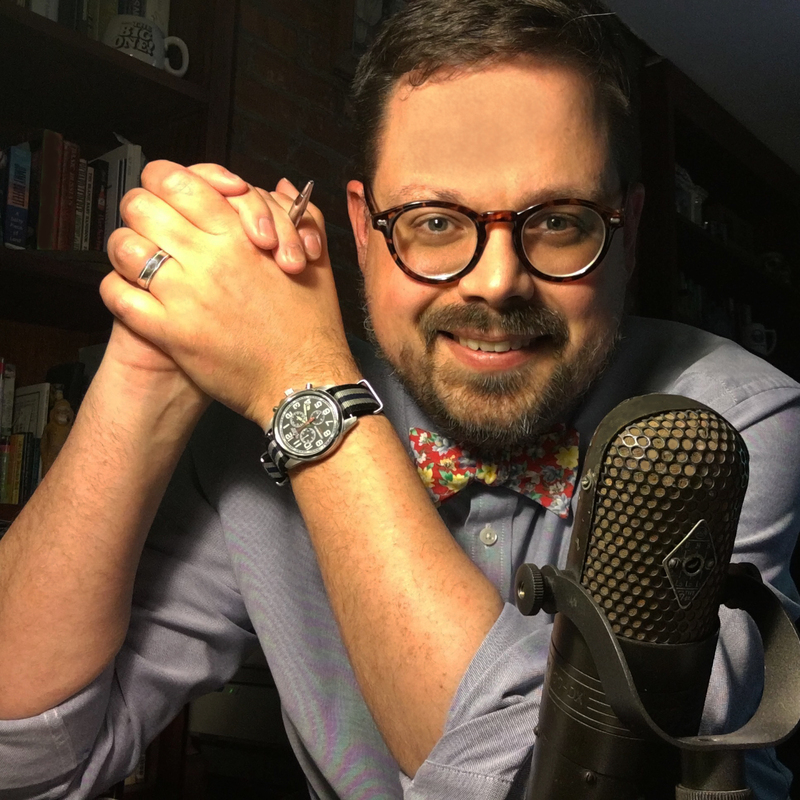 Michael Shea thought bringing one of his theaters to a neighborhood gave people a place to go and a sense of community. The building has always played a very practical use in my life. 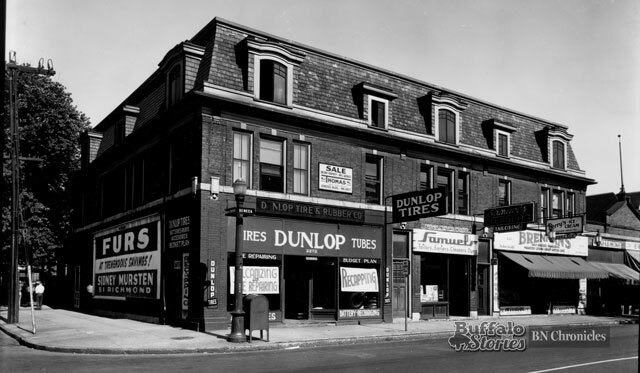 It was the halfway point between my two grandmas’ houses, each of whom live just off Seneca Street, and each of whom bought their slippers in the D&K store that was in the storefront once filled by the W.T. Grant Co., right next to the abandoned theater through the ’80s and ’90s. While the theater was closed before I came along, stories of the place always made it seem like one of the greatest places on Earth. 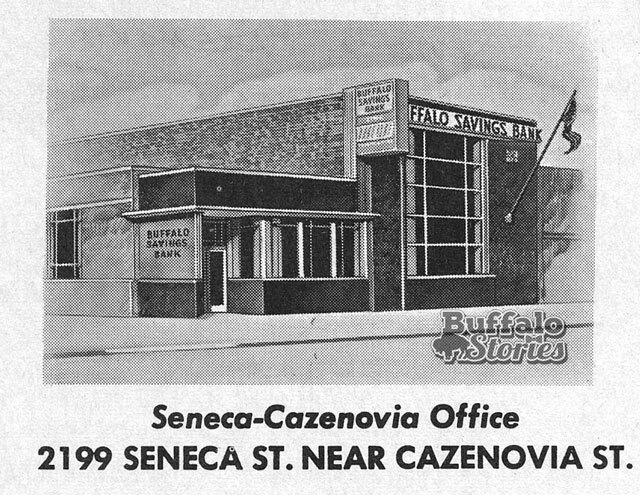 My dad, who was one of 10, would talk about the occasional Saturday mornings when he’d get a quarter from his grandma, who lived a block away from the Seneca on the corner of Kingston. I don’t know if my old man ever had more fun in his life than spending the day watching Popeye, Superman and the Three Stooges – plus eating four or five big candy bars. 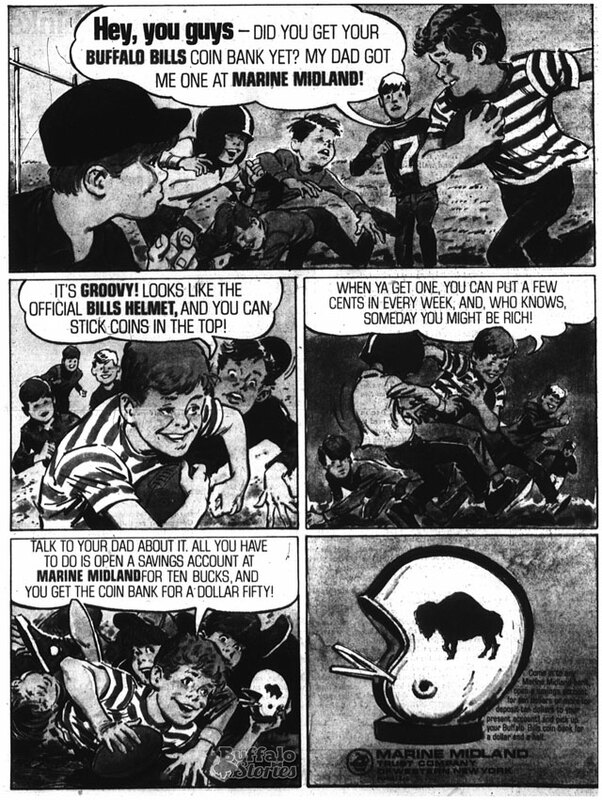 There was still sheer jubilation in the retelling of the stories 50 years later. 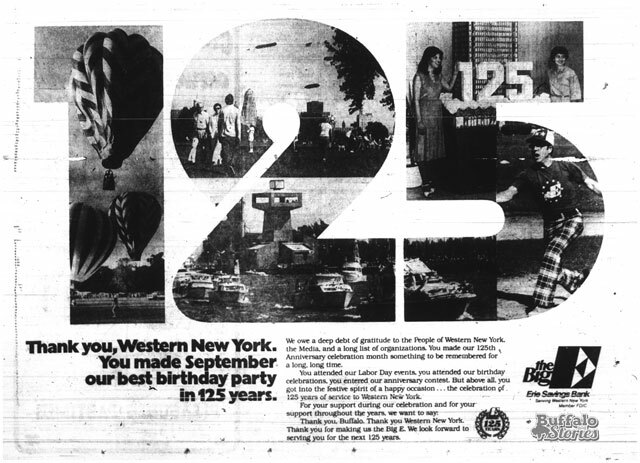 The love of his grandmother, cartoons, chocolate bars and the Shea’s Seneca. 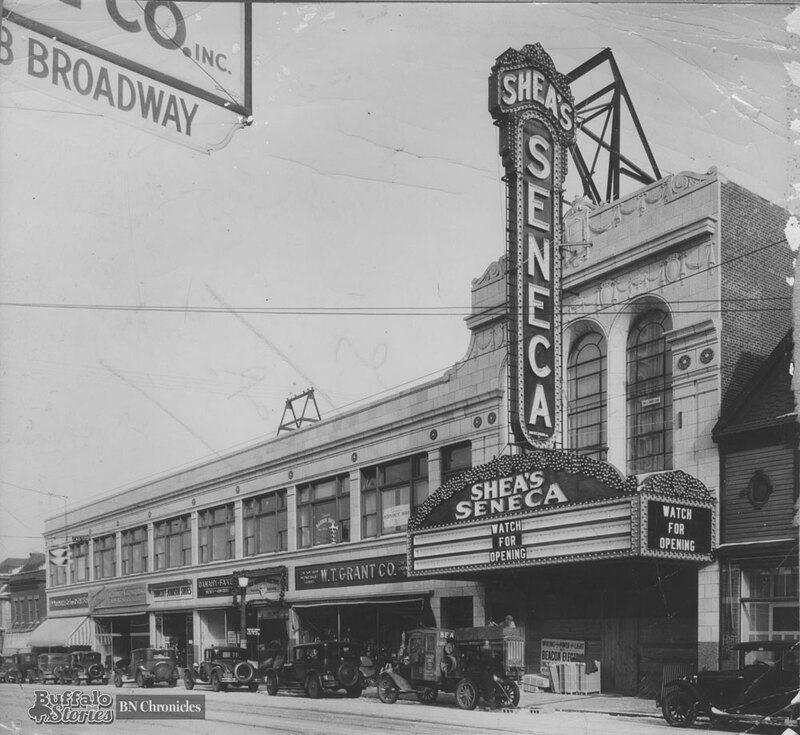 The Shea’s Seneca Theatre was home to one of the first theaters built in Buffalo with modern acoustics for “talking pictures” in mind. “The seats just installed in Shea’s Seneca will give every occupant exactly the same seat pitch, throughout the entire auditorium, regardless of the relative position. 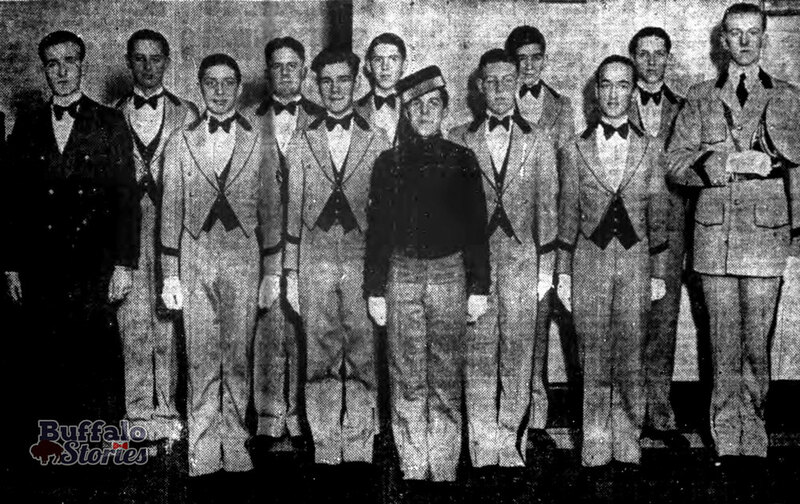 The seat height will be exactly the same, it being based on figures scientifically compiled, as the most comfortable height for the patrons,” wrote the Courier-Express in 1930. 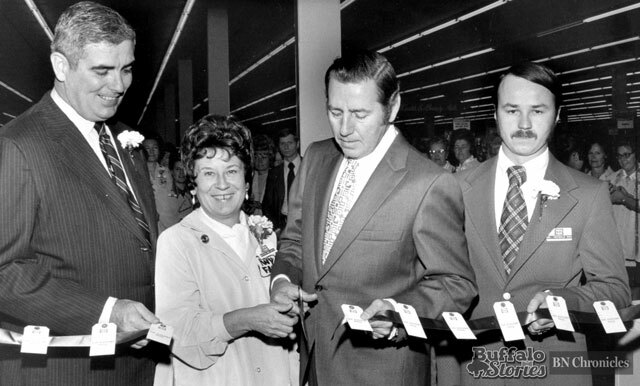 When the theater first opened 86 years ago, Shea-Publix Theaters General Manager Vincent R. McFaul took it a few steps further. 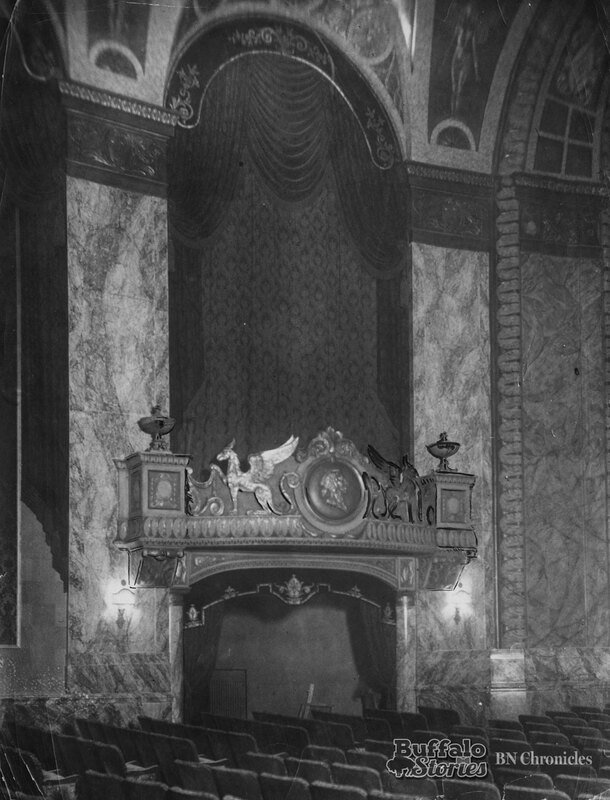 “A properly conducted theater is of the same importance to a community as a school or church, such a theater contributes to the general welfare of the community, because wholesome recreation is essential to its well-being,” said McFaul. 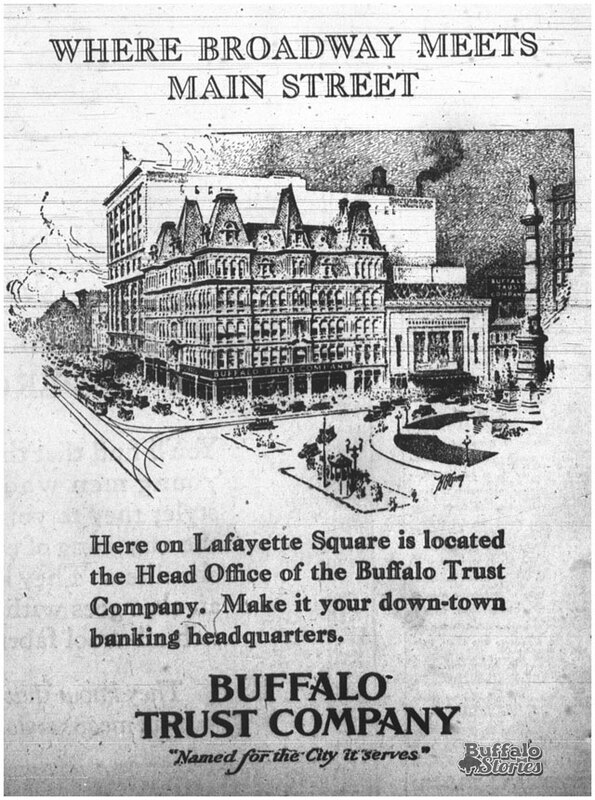 Michael Shea built theaters all over downtown Buffalo and through the city’s neighborhoods, as well as in Niagara Falls and Toronto. 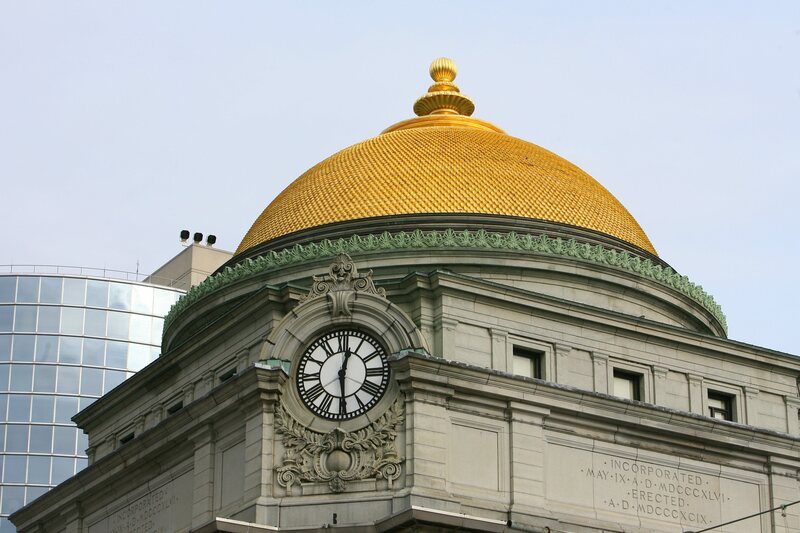 The decades-long revitalization of this opulent building has been a source of community hope and pride for generations now. 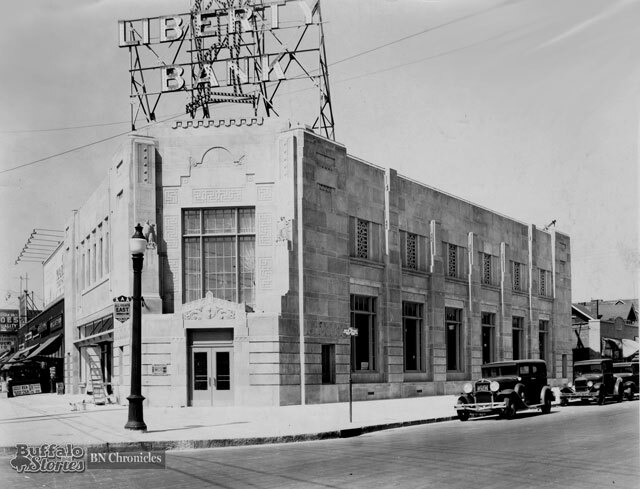 And almost a century removed from its opening, the rejuvenation of Shea’s North Park Theatre has brought back that level of excitement for North Buffalo’s Hertel Avenue. Bringing back Shea’s essence to Seneca Street just might be what the neighborhood needs. Again. 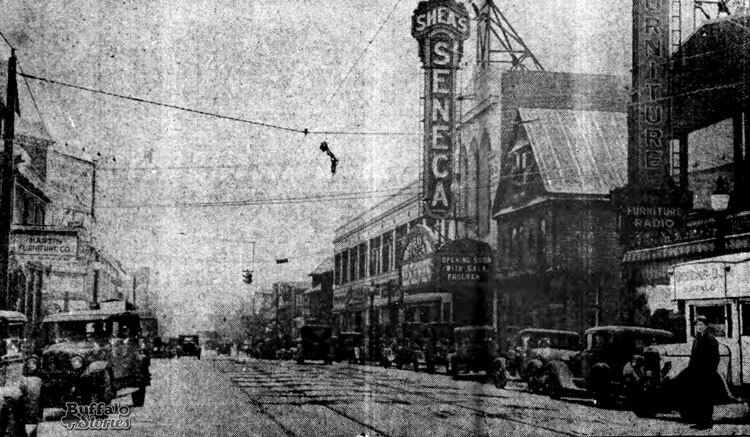 The now-gone Shea’s Seneca marquee was 61 feet high, contained 6,000 bulbs and used enough electricity to light 75 homes.